Left: "Elizabeth Schuyler Hamilton" by Ralph Earl, 1787, Museum of the City of New York. 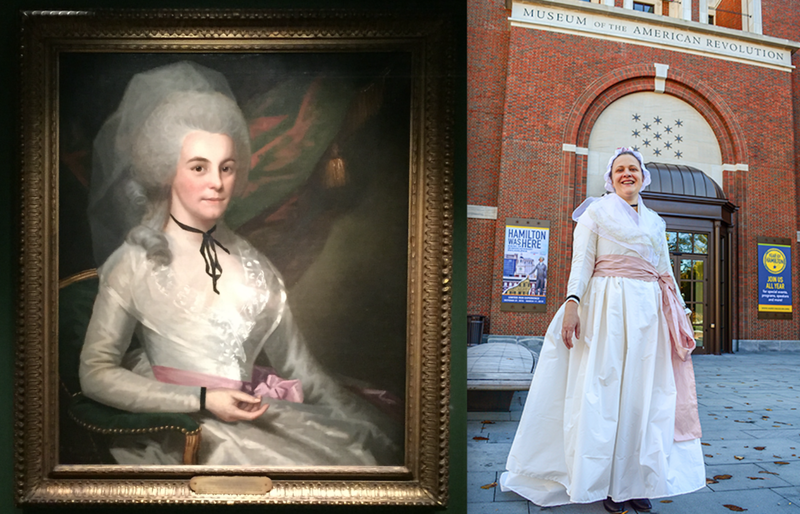 Right: Museum educator Amy Yandek dressed as Eliza Hamilton. Photograph by Kevin Rossi, Museum of the American Revolution.